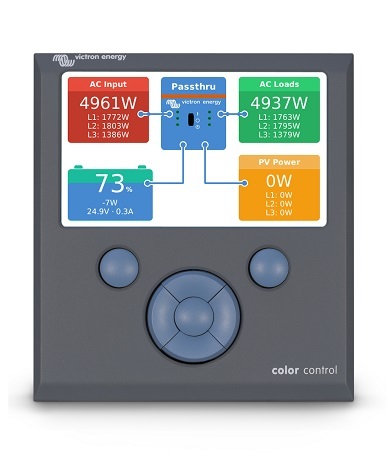 The Color Control GX provides intuitive control and monitoring for all products connected to it. VRM Online Portal Besides monitoring and controlling products on the Color Control GX, the information is also forwarded to a free remote monitoring website: the VRM Online Portal. To get an impression of the VRM Online Portal, visit the Portal Page, and use the Take a look inside button. The portal is free of charge.